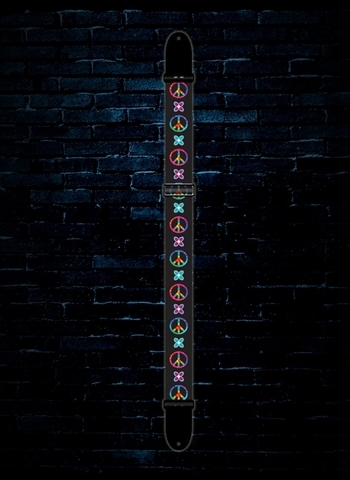 2" Heat Transfer Design On Polyester Webbing With Colorful Peace Symbols On Both Sides And Genuine Leather Ends. Adjustable From 39" to 58". Made In Canada.